Fred Maher collaborated with Robert Quine, which led to a partnership with Lou Reed. 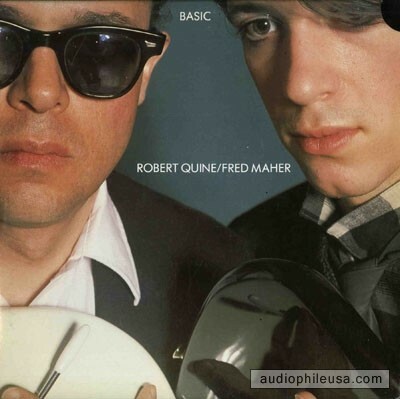 Drummer Fred Maher first performed The Blue Mask on stage with Reed in 1982 after being recruited by guitarist Robert Quine, with whom he had made a great instrumental album called Basic. A veteran of the No New York noise-rock underground who played with Massacre, Material, and Scritti Politti and later produced Trip Shakespeare, Lloyd Cole, and Matthew Sweet, Maher powered the rhythms in one of Reed’s best bands during one of the rock giant’s most fruitful periods, drumming on Legendary Hearts (1983), New Sensations (1984), Live in Italy (1984), and Mistrial (1986). Even more impressively, Maher played on and produced what many consider one of Reed’s best solo albums: New York, released in 1989. A portion of my chat with Maher will air on Sound Opinions, but you can listen to it here in its full, unedited entirety. I’m also posting a video clip of Maher with Reed, guitarist Robert Quine, and bassist Fernando Saunders—the strongest of any of the songwriter’s bands during his solo years—performing “Waves of Fear” from The Blue Mask onstage at New York’s Bottom Line in 1983 (the young Jim DeRogatis is somewhere in that crowd) and another live performance of the track “Endless Cycle” from New York, which Maher spoke about in our interview.